Aleppo (The modern-day Arabic nickname is Halab Al-Shahbaa) is the largest city in Syria, and one of the oldest continuously inhabited cities in the world. Such a long history is attributed to its strategic location as a trading center, this is why it is considered the Industrial Capital in Syria. Aleppo lies about 120 km from the Mediterranean Sea and 45 km from of the Syrian-Turkish border. The average high and low temperature throughout the year is 23.8 and 11.1 °C, with it's marvelous weather, it is definitely a place for sightseeing during all seasons of the year. Aleppo is characterized with mixed architectural styles, the Old City with its large mansions, narrow alleys and covered souqs, would take you back to the 13th and 14th centuries. University of Aleppo (established in 1958) is a public university, It is the second largest university in Syria after the University of Damascus. The University grew rapidly in the subsequent decades, formed respected programs in engineering, sciences, and literature, as well as a strong emphasis on languages, offering courses on German, Russian, French, and English. It consists of 25 faculties with 152 departments. The university is home to one of the biggest libraries (Central Library of the University) in Syria with more than 1.5 million units. In addition, there are 17 academic centres, a publishing and printing house, and 20 units in the campus, designated to host more than 12 thousand students. The university publishes its scientific journal periodically which is called Aleppo University Researches. On 6 February 2010, the university announced the opening of its Radio & TV Centre, which is the first of its type among Syrian universities and the third in the Middle East. The university opens its doors to all local students as well as Arab and Foreign students. It's major goal is guiding students to the right pathway reinforcing their knowledge in order to build the future Syria. Under supervision of The Faculty of medicine ( Aleppo University), AUH is from the highly equipped Hospitals in Aleppo. With its well trained physicians and nurses, it is a place for all patients to seek health care and for medical students to enhance their knowledge and clinical skills. AUH also provides various residency programs for recently graduated doctors and nurses to ameliorate their expertise in the medical field. Is the biggest hospital in Aleppo, under supervision of The ministry of higher education, (Aleppo University -faculty of medicine) it provides residency programs for medical students and nurses. The hospital is well known with a very advanced therapeutic and diagnostic technologies (Spiral CT, Gamma Camera, Linear accelerator etc.). It is even considered the 4th biggest hospital for Cancer Treatment the Middle East. It is one of the essential hospitals of Aleppo. 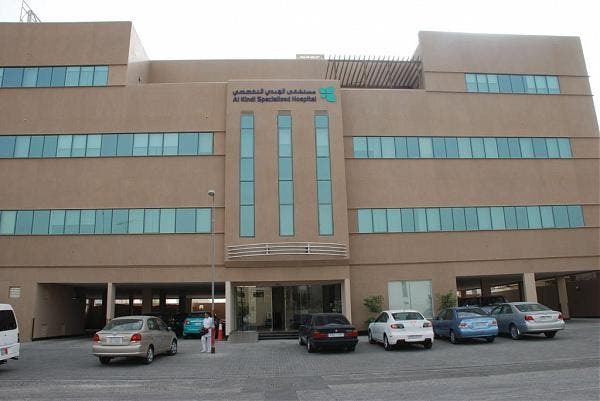 Although it is supervised by the ministry of health, Al razi hospital is a choice for medical students who haven't got the chance to do their residency in a hospitals that are related to the ministry of higher education (like: AUH and Al Kindi). Because of its location in the city center, it is a place for hundreds of patients seeking medical care. It contains the following main divisions (general surgery, orthopedic surgery, neurosurgery, vascular surgery, OB GYN), there is also some divisions regarding internal medicine but not as big as the Surgical ones. It is provided with one of the advanced Emergency Centers in the city (paramedics,ambulances and Emergency Rooms). It also has a Vaccination center that organizes several campaigns preventing the public from endemic diseases. None available in the meanwhile. Not applicable in the meanwhile. Aleppo International Airport has a modern terminal which combines a modern and Islamic architecture. The total area is 38,000 square meters over four floors. The airport capacity is 1.7 million passengers a year. There are buses that lift passengers to the city center, costing approximately (200SP). Also, there are taxis (cost is higher :700 SP). At rush hour (10 AM-4 PM), the best was of transport is on foot. Smoking is absolutely forbidden in all public transport ways. 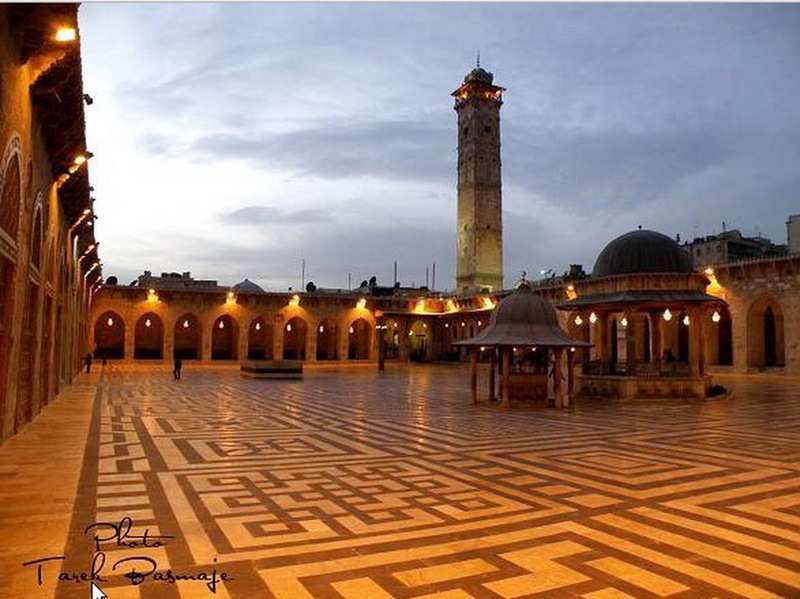 If you have time and you want to discover the town more, it's an amazing idea to go out for a walk in the famous and adorable places of Aleppo like (Al Azizia, Sadalla Al Jabari Square, and Al jamilia) you can surely enjoy the diversity of architectures. Micro buses, also known as (Servees, colored in white), are one of the main sources of transportation in Aleppo. The two main Servees routes are (Al Dairi-Shimali) and (Al Dairi-Janubi). All journeys inside the city cost 40 SP. The route is written (in Arabic only) on the roof sign. There are also many City buses (larger than Servees, colored in green) that have the same routes of Servees, and they are cheaper ( 30SP.). Taxis are plentiful in Aleppo, making them a great mode of transportation. Taxis with the Aleppo Governorate logo on the side and a number on the roof sign are normally equipped with a meter, and it is best to use only these when hailing a taxi on the street. 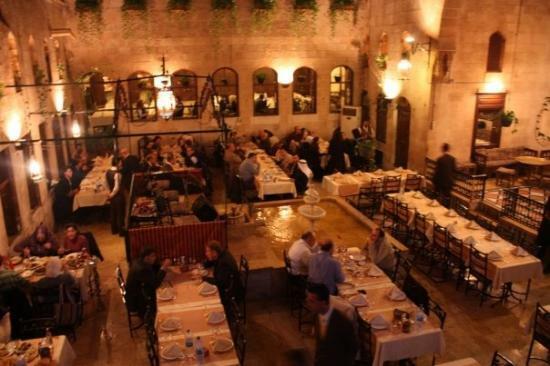 There are many restaurants in the old quarter each with their own unique character, but perhaps the most famous ones are (Al mashrek: Oriento) and (Qasr Al Walli) because of their amazing view at Aleppo Citadel. Hamam Yalbugha and Hamam Al Nahasin are two baths that are familiar with Western tourists. Never leave Aleppo before having a hot drink at night in front of Aleppo Citadel, one of the oldest and biggest Castle in the world. There are numerous amazing cafés near the citadel like (Biroya, Dar Ward and Carlton Hotel rooftop). 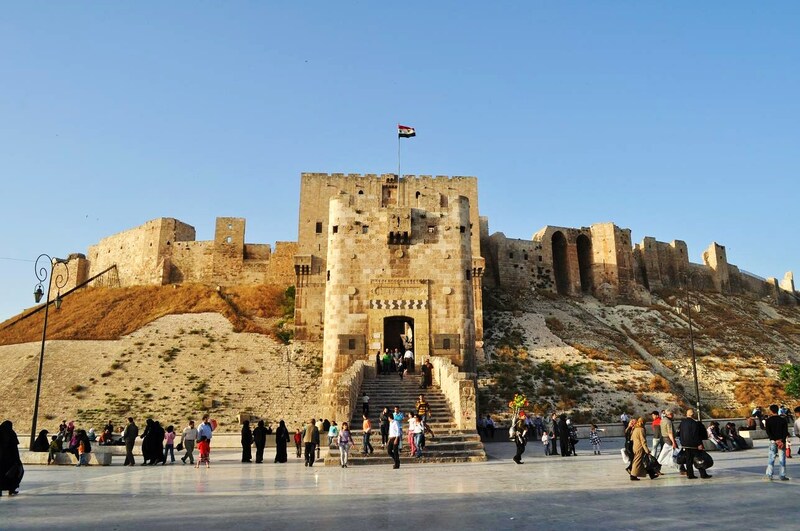 The Citadel of Aleppo is a large medieval fortified palace in the centre of the old city of Aleppo, northern Syria. It is considered to be one of the oldest and largest castles in the world. Usage of the Citadel hill dates back at least to the middle of the 3rd millennium. The citadel contains the remains of mosques, palace and bath buildings. The walled city that grew up around the citadel bears evidence of the early Graeco-Roman street layout and contains remnants of 6th century Christian buildings, medieval walls and gates, mosques and madrasas relating to the Ayyubid and Mameluke development of the city, and later mosques and palaces of the Ottoman period.